She just never gets old to me. Chloe, that is. 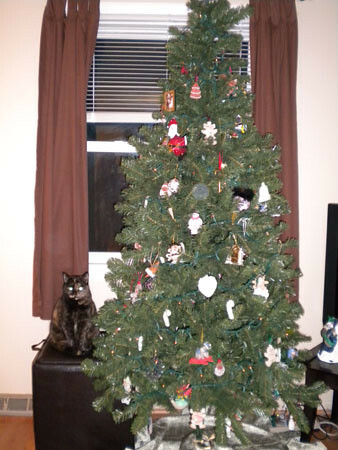 Chloe is embracing the tree, and the other night we found her sitting nicely beside the tree. Not in it or under it or preparing to attack it. Aww..i love it and Chloe sure appreciates it. Chloe has decided that she looks pretty next to the tree!